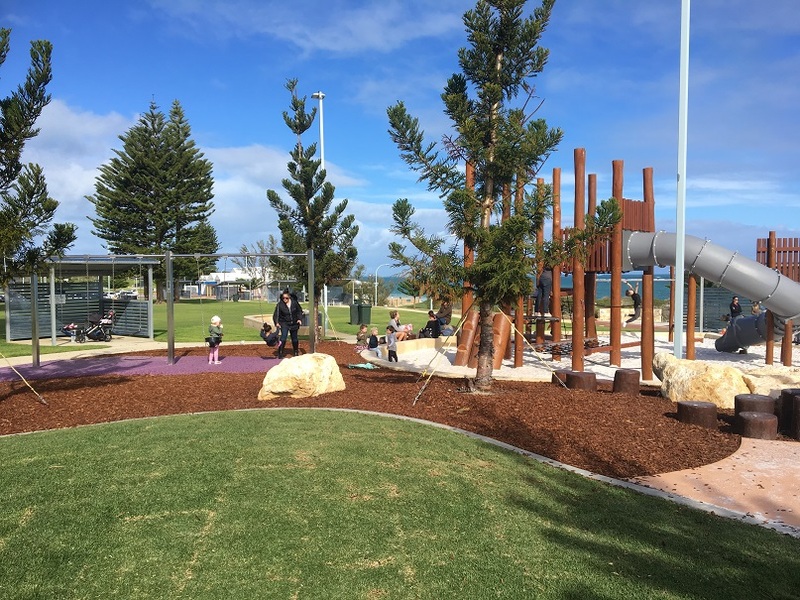 Tom Simpson Park Playground is located right on the Mullaloo Beach Foreshore overlooking the ocean and has the added bonus of coffee and dining just a short stroll away. Keep in mind there are strictly no dogs allowed at this park. 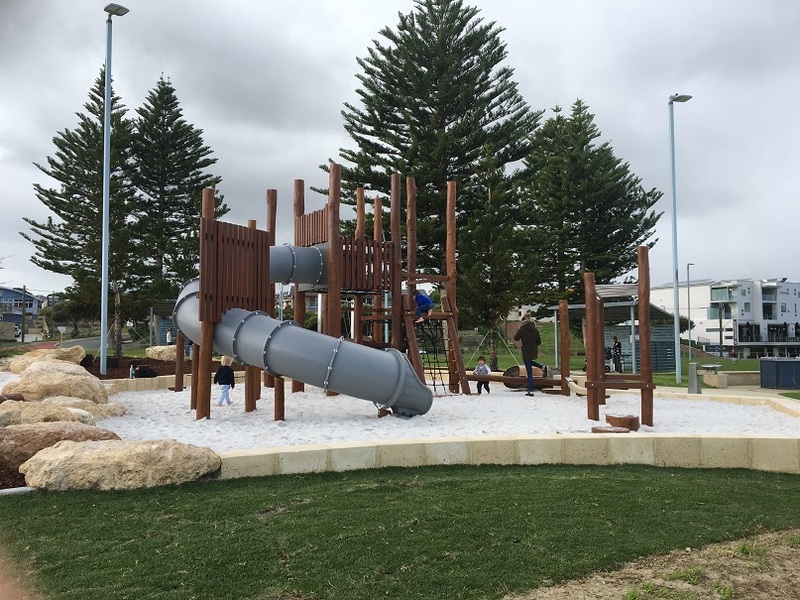 Out with the old in with the new, this playground reopened in June 2018 and is dominated by nature based play and a large wooden fort. 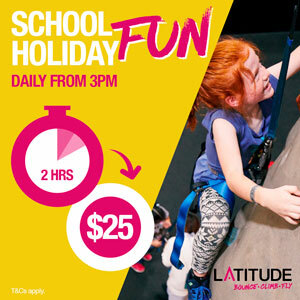 Access to the fort is via rope nets so this is a great little playground for adventurers who love a challenge and love to climb. 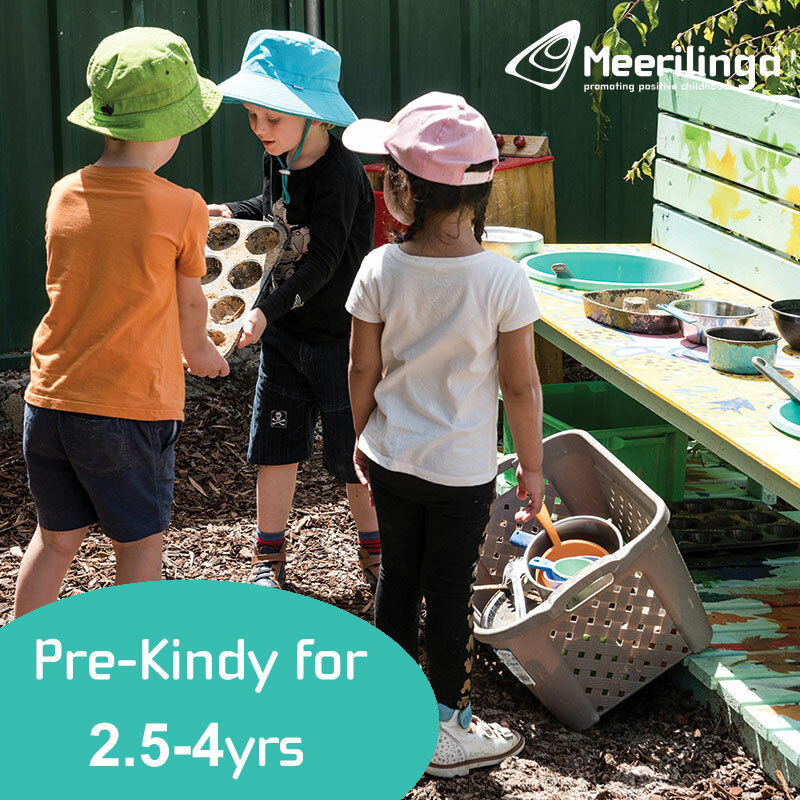 Take the spare clothes along as there is a cute little water play table too, with balancing logs alongside so the little ones can reach. Speaking of little ones they will love the little concrete slide with enough room for two and the talk tubes too. 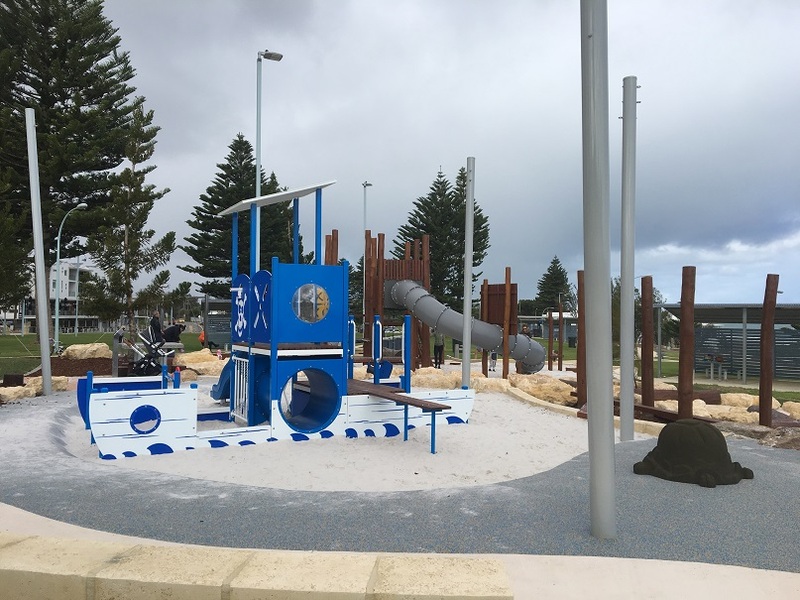 What's a seaside playground without a boat of course. 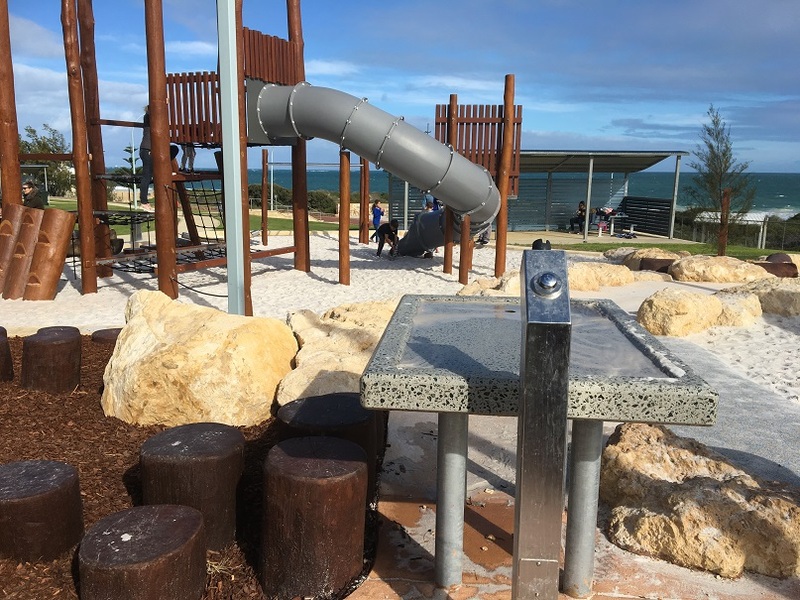 The little ones will love this little play area where they can walk the plank and check out the ocean view from the top. Note: shade sail poles for summer shade too. 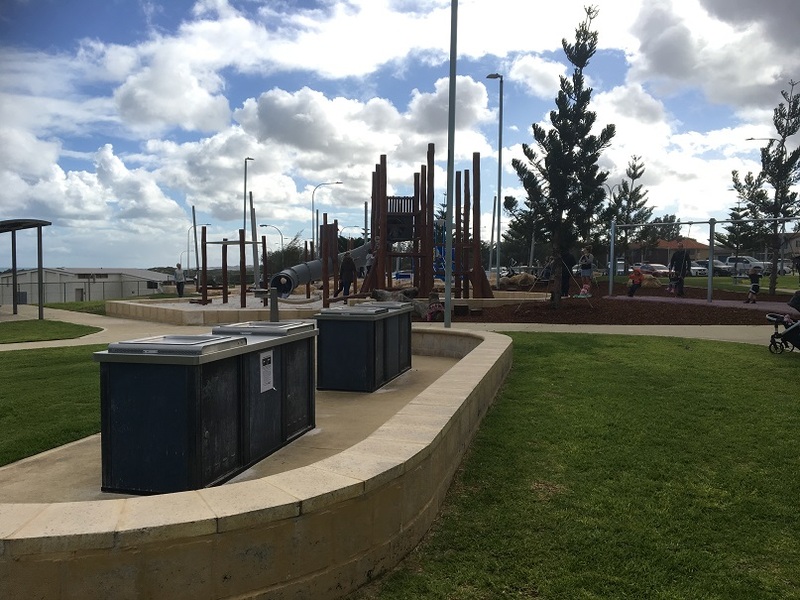 Good to see another park with double toddler swings to add to our list and two traditional swings also. 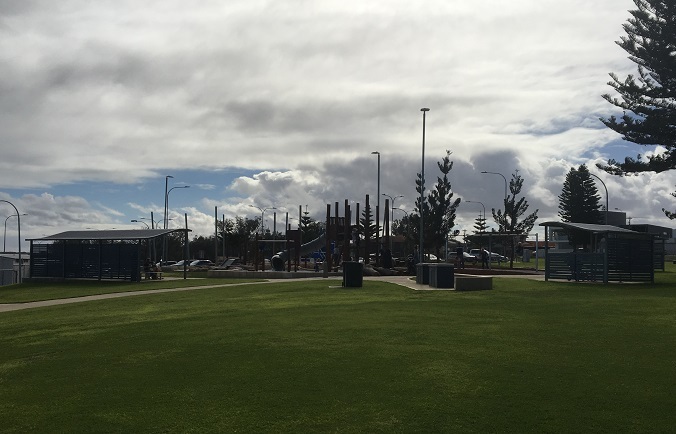 This is a great park to meet with friends and family with lots of picnic shelters, plenty of bbqs, a water fountain and toilets right near the playground. There is good access to the beach from here and showers available so you can get all that sand off before getting back in the car. 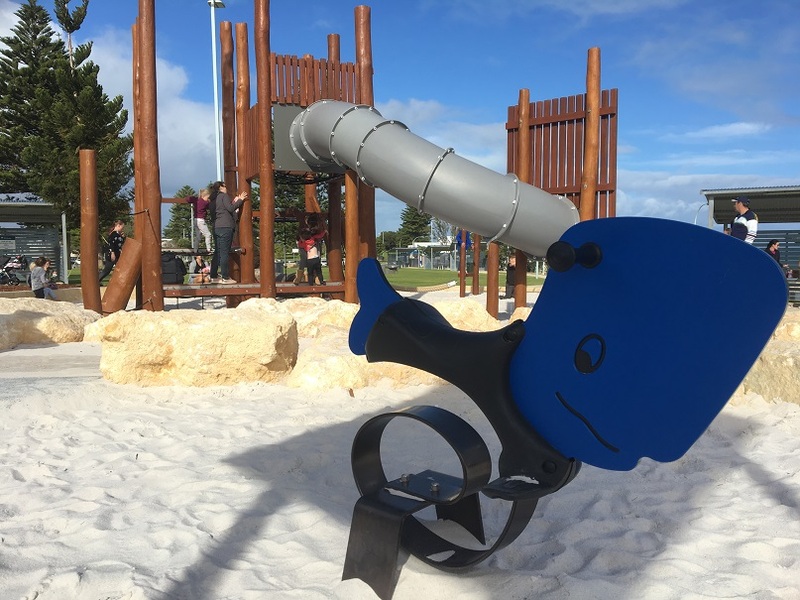 Another bonus of this playground is the coffee and dining options nearby. 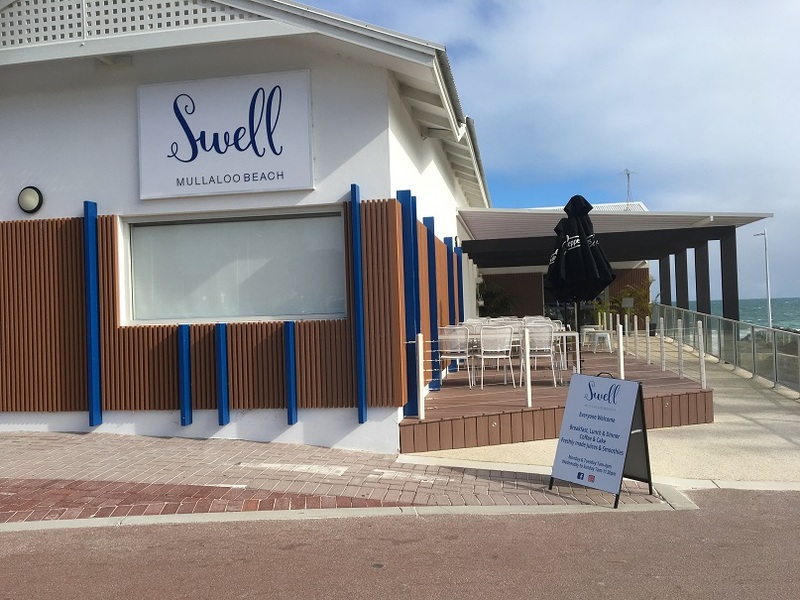 Across the road is a Dome Cafe and the Mullaloo Beach Hotel, and Swell Mullaloo Beach is also located right on the foreshore not far from the Tom Simpson Park Playground, so you can take your pick. All offer indoor and outdoor eating areas for all year round dining. 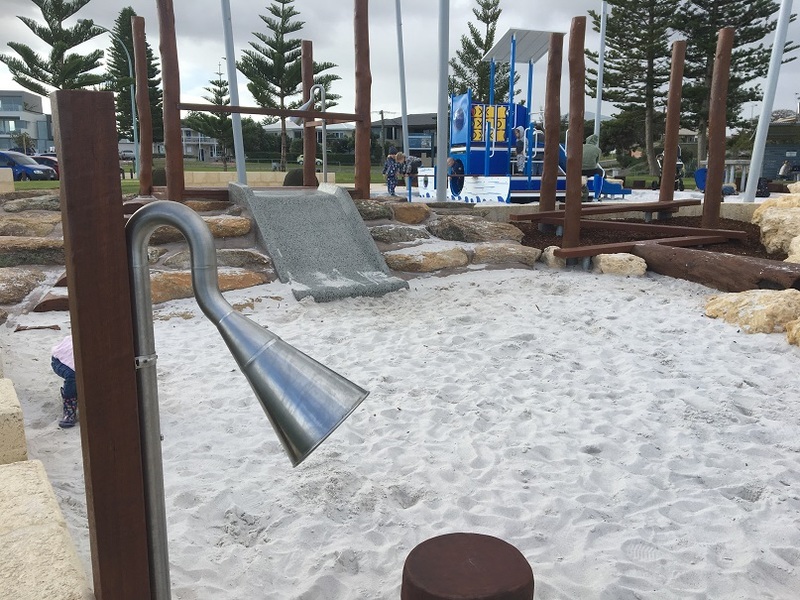 This beachside playground is a much welcomed addition to the Mullaloo Foreshore and makes for the perfect place to play by the ocean this summer or on a warm winters day. 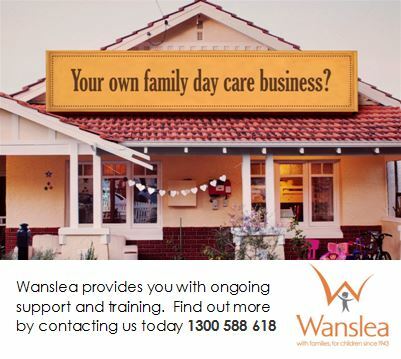 Gather your friends and family and check it out!